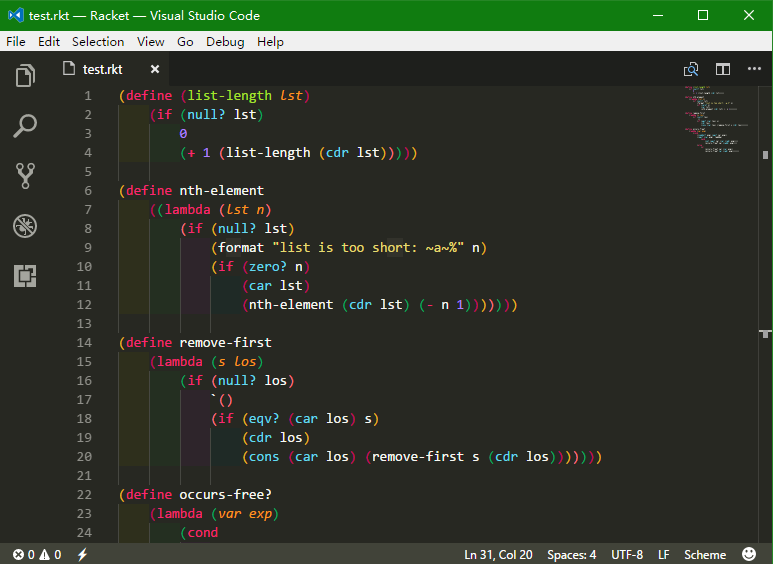 Visual Studio Code>Programming Languages>vscode-schemeNew to Visual Studio Code? Get it now. This extension add Scheme language support to VS Code. support following snippets: cond, define, if, lambda, let, let1, set!.